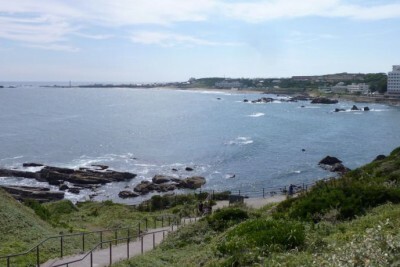 Taiyo no Sato: enjoy a private onsen at Cape Inubo. By Julian Bohler, JapanTravel.com・I think it’s quite fair to say that Japan has a thing for rankings, and it’s not really new. The top 3 landscapes of Japan, the 100 most beautiful mountains of Japan, the top spots to see Mount Fuji, everything is about where to get the best experience or see what cannot be seen anywhere else. Now if your thing is hot springs, you might be interested in learning that in 2014, the best ryokan featuring onsen (hot springs in Japanese) is located just a couple hours East of Tokyo, at Cape Inubo. It’s called Taiyo no Sato: Bettei Umi to Mori (literally « Where the sun rises: the Ocean Tree Villa », a bit more poetic in English isn’t it? 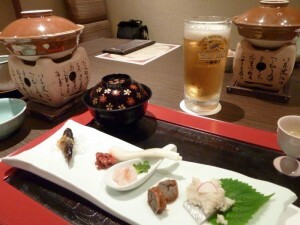 ), and it definitely is one of the most memorable experience I have ever had in a Japanese ryokan. 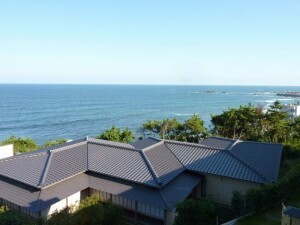 Located along the most Eastern shores of Chiba prefecture, Umi to Mori is a high end ryokan, where you can expect to feast with delicious and extremely fresh local seafood, relax in your private hot tub while looking down at the ocean, or just enjoy listening to its roaring sound while Inubo Cape’s lighthouse lightens the sky. Choosing the Gourmet Plan, we had freshly fished Japanese lobster, a delicious plate of fresh sashimi, hamaguri (a type of clam) grilled on the spot, sukiyaki and tempura in a very nice and comfortable private room at the restaurant. 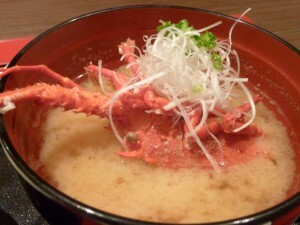 The following day, we were served a delicious miso soup made out of the same lobster. 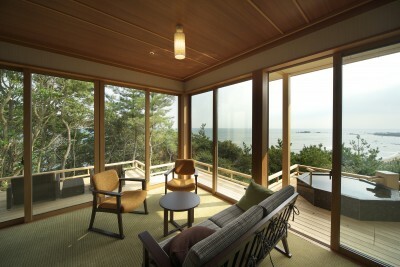 This exquisite plan came with a top floor (3rd) room with an incredible view on the Pacific Ocean and the Toei rocks. And best of the best, a private outdoor bath on the balcony was waiting for us to enjoy any time during our stay! Now for all the ladies who enjoy the yukata (lighter type of kimono often worn as a bathrobe), your experience at Umi to Mori will be even more pleasurable. 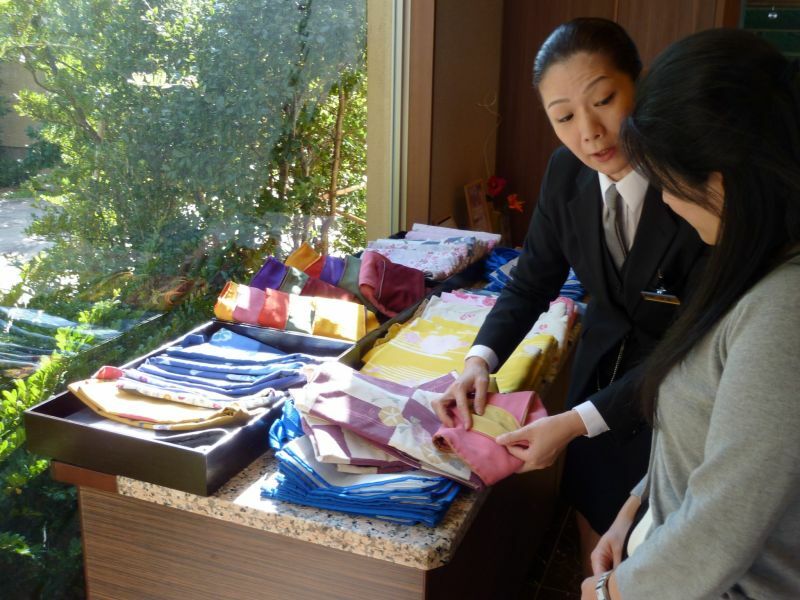 You are able to choose from a variety of colorful yukata and obi (belt) which is rare among all the ryokan across Japan. But the one big problem with it is that is it quite difficult to put on by yourself. Here, the staff will help you put it on so you can enjoy your gourmet dinner like every other Japanese guest. 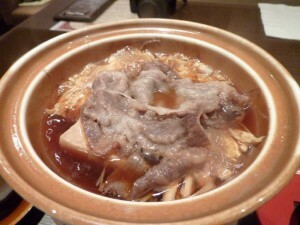 Note that you can also enjoy the public bath without staying at the hotel. 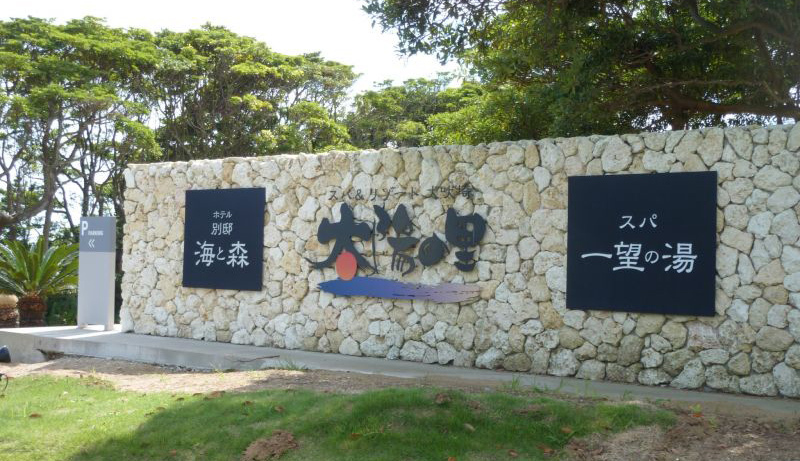 With entrance fee starting from 1300￥, you will have access to the ryokan’s public bath, daiokujo, including amenities, several types of bubble baths, a rotenburo (outdoor bath) facing the ocean, a sauna and much more (karaoke, arcade games, restaurant with ocean view, etc.). 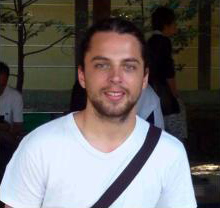 By Julian Bohler, JapanTravel.com・Did you ever have an interest in Einstein’s Theory of Relativity?